“The Big, Bad and Beautiful Weeds, Wildflowers and Invasive Plants of the Upper Midwest”. 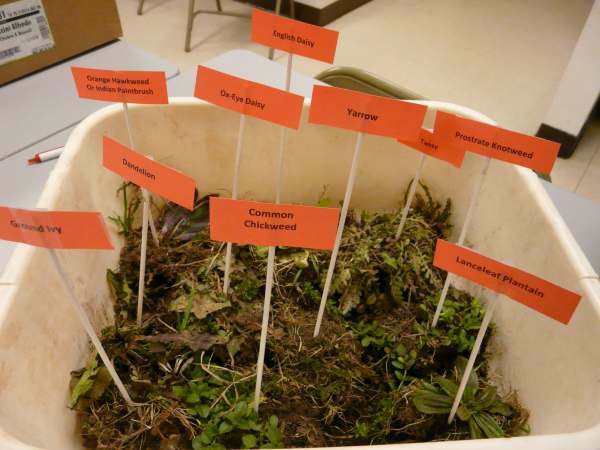 Ironwood Master Gardener, Lynn Adams has produced a Know Your Weeds Compact Disk titled “The Big, Bad and Beautiful Weeds, Wildflowers and Invasive Plants of the Upper Midwest”. Lynn is a certified Advanced Michigan and Wisconsin Master Gardener and she laughingly says she is a “wanna be” botanist. The members of the 46th Parallel Planters Garden Club have elected a new President . Carol Canon from Marenisco was voted as the club's new president for the coming year. By being voted president, Carol has become the first woman to hold that position in the club's history. 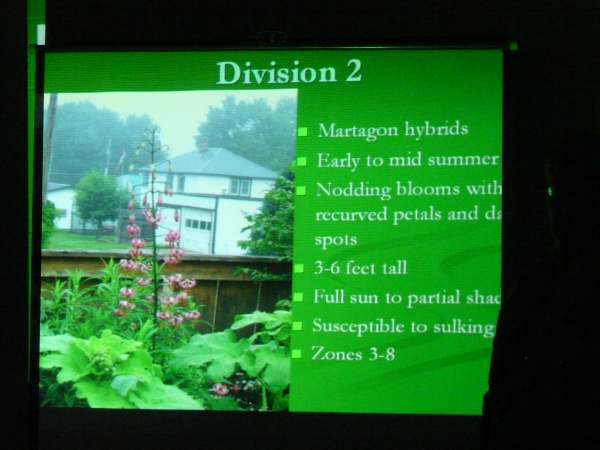 This past Thursday evening, Range Master Gardener, Lynn Adams addressed the members of the 46th Parallel Planters on the issue of invasive plants. Lynn described many of the invasive weeds that find their way into our lawns and gardens. Many of these invasive plants were brought to our shores from Europe and Asia. 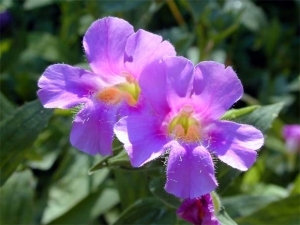 Many of these invasive plants are native to our hemisphere. Today, some invasive plants such as Japanese Barberry are still being sold in Michigan stores and through catalogs. Several states protect their borders from problem plants. Unfortunately Michigan isn't one of them. Lynn didn't say that, but I will! In addition to her great Power Point presentation, Lynn brought along samples of the little villains we might find about our yards. Recognize any of these ? Unfortunately , I do. 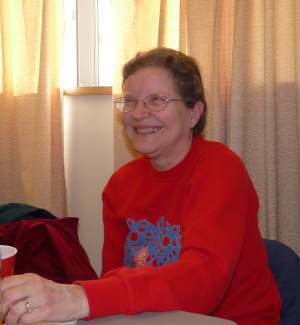 Lynn, is a Michigan Master Gardener and a Wisconsin Master Gardener. 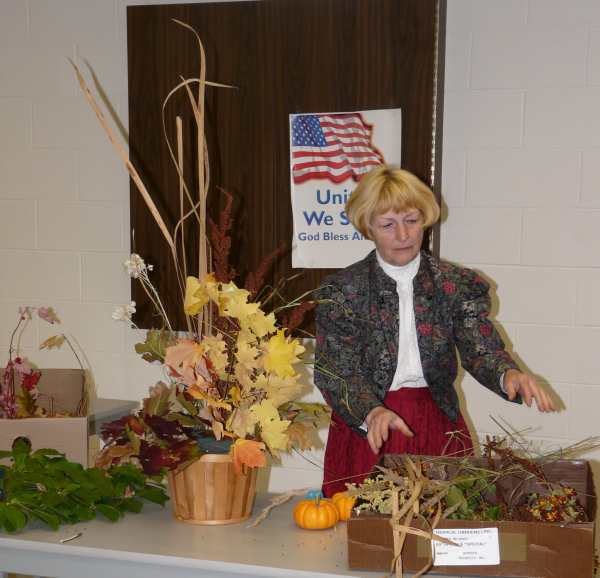 She is the Horticultural contact at the Wisconsin Extension Office. If you have any kind of garden questions Lynn is the person to contact. In the very, very remote chance that she can't answer your question right away, she has some high powered help in Madison who can. 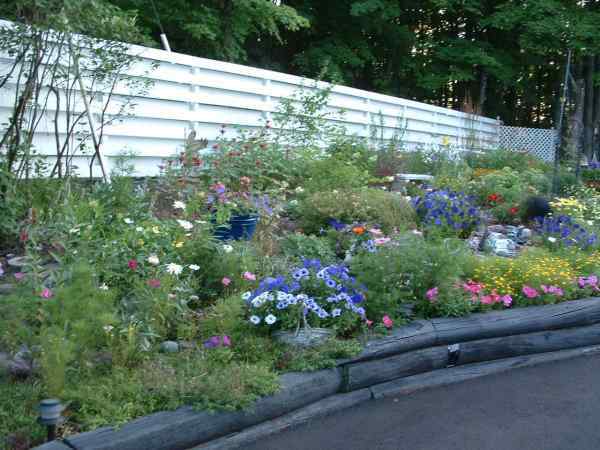 If your interested in becoming a Master Gardener, Lynn is also the person to see. above - Lynn's slide on Purple Loosestrife. This is a very beautiful plant that we have growing along roadsides. Not withstanding its beauty this plant is a major, major problem. It currently is causing havoc in over half the states in our country. It's everywhere and it's a menace. Weeds rob moisture and nutrients from your garden plants. Your lawn and garden plants will not receive what they need to thrive in the presence of weeds. The more aggressive or invasive the weed is the greater the damage to your garden. 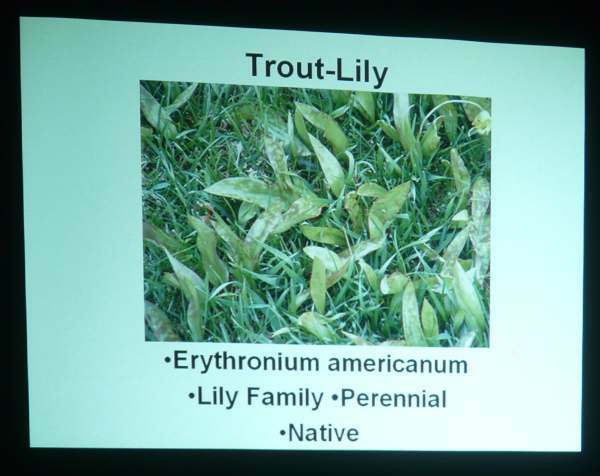 above - the common Trout-Lilly which can be found in most lawns. above - the very dangerous Giant Hogweed. 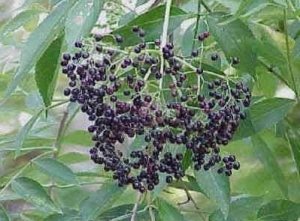 This plant has been found in Iron and Gogebic Counties. It is often confused with Wild Parsnip and Queen Anne's Lace. If you come across this plant do not touch it! Call the DNR or the Extension Office. The next time Lynn offers this valuable presentation try to attend as it will be well worth your time. A Lily By Any Other Name? 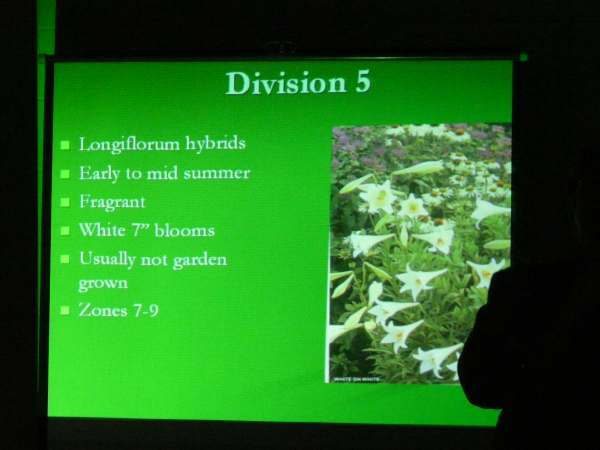 Attendees of the 46th Parallel Planters Thursday's meeting were treated to a terrific presentation by Range Master Gardener, Chris Ainslee. Chris spoke to the local gardeners about Lilies. 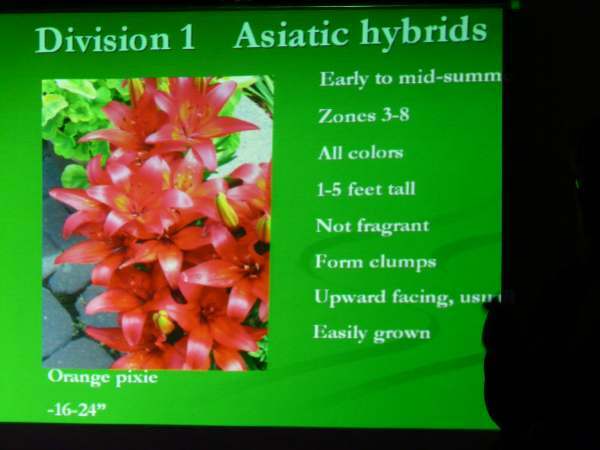 The power point presentation covered both true Lilies, those members of the Lilium Family and Day Lilies. Day Lilies are not true Lilies. They are a perennial Hemerocallis, which is Greek meaning "Beautiful for a Day" hence, Day Lily. 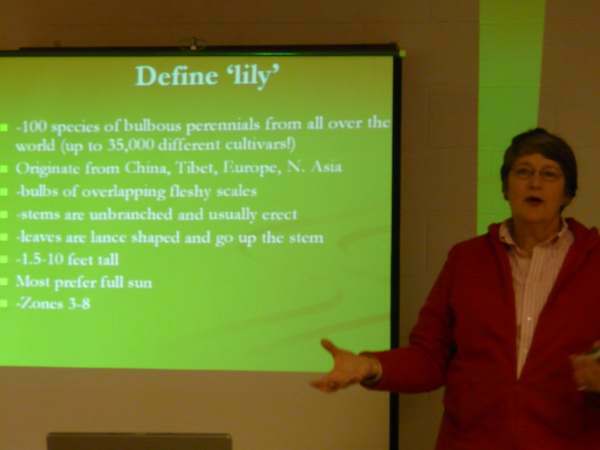 Chris began her presentation defining true Lilies as a perennial bulbus plant, with over-lapping fleshy scales. True Lilies grow on a single stem with lance like leaves that emanate from the stem. Lilies grow in full sun and grow in height from 0ne to ten feet tall. Lillies require full sun, well drained soil, one inch of water per week and protection from the wind. Propagation is best accomplished by division. Dig up the bulbs and divide. Bulblets sometimes form on the bulb and these can be peeled off and replanted. You can also peel off some of the thick scales on the outside of the bulb and plant those. There are over 30,000 named varieties of Day Lilies. 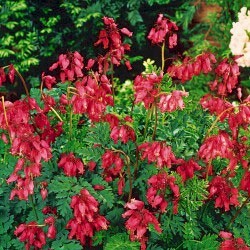 These perennial plants are clump forming, strap forming leaves and have Stolloniferous tuberous root system . The Day Lilly flowers comes in a variety of forms, and are occasionally fragrant. The flowers bloom for just one day however, each stem has many buds. The Day Lily flower comes in many colors and are edible. Like true Lilies, Day Lilies prefer well drained soil, however, they can tolerate poor soil. The Day Lily prefers full sun, however some can tolerate shade. Lilies like one inch of water per week . Plants should be divided every three three to five years. Fertilize using a 5-10-10 fertilizer. Remove scapes and deadhead to keep the plant looking good. Like true Lilies, Day Lilies are best propagated by division. Pest and diseases effecting the Day Lily include: gall midge, aphids, spider mites, thrips, slugs and snails, rust , crown rot, freezing and thawing. Chris Ainslee is a Michigan Master Gardener, a member of the 46th Parallel Planters and the proprietor of Green Knees Garden Design. On Sunday, April 19th, we’re sponsoring a symposium. 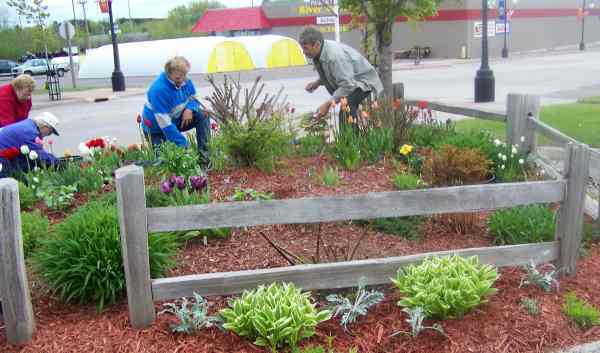 Gardening in the Northwoods: Meeting the Challenge at The Country Store, just west of Land O’ Lakes. The program will begin at 5 pm and will feature two speakers and a panel. 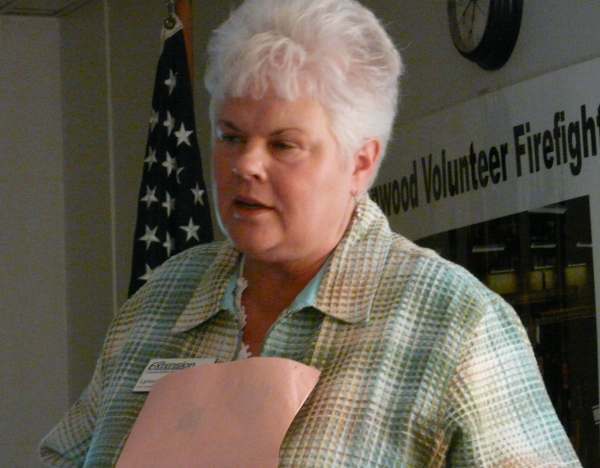 Mary Stys, UW Extension’s Summer Horticulture Educator will speak about Vegetable Gardening in the Northwoods. Gordon Frase, co-director of the Ironwood Community Garden and a longtime “up-north” gardener, will then present The Benefits of Gardening in the Present Economy. Following these speakers, a panel of local gardeners who have been growing vegetables successfully up here for many years will take questions from the audience and provide tips from their own experiences. This is meant to be an informal and informative evening open to anyone interested in gardening, not just Community Garden plot holders. The program is free but you’ll need to reserve space if you’d like to have dinner. The Country Store will offer an abbreviated menu for the evening and can accommodate about 40 diners. You pay for your own dinner, and we’ll provide the free program and pass the hat for donations. We hope you’ll join us. Reserve space now with Mark or Kris at The Country Store, 715-547-8222. Of course, you’re welcome to come for the symposium alone without dinner or reservation. There should be plenty of standing room in the back. pictured above - Range Master Gardener Gordon Frase teaching gardening techniques to Norrie School students. Michigan State University Extension is once again teaming up with White Birch Apiary of Bruce Crossing to offer two Backyard Beekeeping Workshops. Les McBean, who has been in the beekeeping business for over 22 years and owner of White Birch Apiary, will instruct the workshops. McBean will also be taking orders for package bees . The members of the local gardening club, the 46th Parallel Planters, are resuming their bi-annual Perennial Plant Sale this year. The sale is scheduled for May 9th. from 9:00 am until 1:00pm It will once again be located at the Iron County Farmer's Market. The deer resistive plants offered for sale by the group are field grown plants that are grown locally. 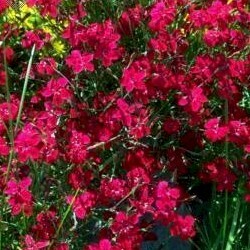 That means the plants although reasonably priced, are usually more hardy and superior to those purchased through catalogs and from super centers. 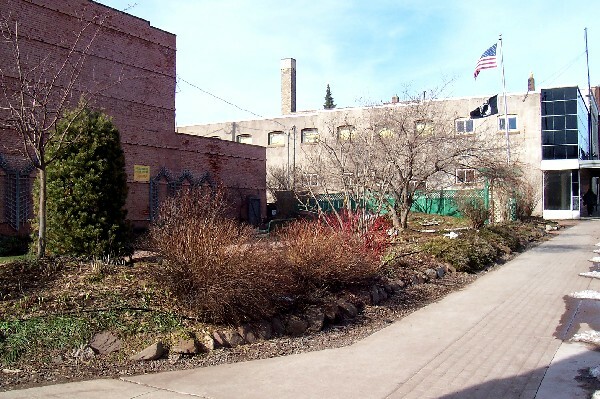 Many of the plants in the downtown Ironwood Pocket Park also emanate from this same source. Order forms have been distributed throughout the community and can be obtained from the Grandview Hospital Gift Shop, the Hurley, Ironwood, Bessemer and Wakefield libraries Ben's Place and WJMS. Order forms are also available at the local chambers of commerce, the MSU and Iron County extension offices. If you are reading this article the easiest and quickest way to look at the catalog is to go to http://rangemastergardeners.org/orderform.html. You can print out the order form and mail your order and check to the garden club. Purchasing native plants does several things to improve your gardening, including less maintenance provided that they are planted in conditions that match their cultural requirements. 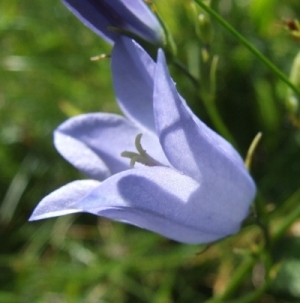 Native plants have evolved in their surroundings and tend to be more hardy. Planting native plants instead of cultivars helps keep out invasive, non-native plants often sold at our nurseries. On a much larger scale, using native plants, helps preserve the natural heritage of our area. Once a species becomes extinct, it can no longer provide genes which would continue to contribute the genetic diversity necessary to creating new species adapted to survival in our area. Members of the 46th Parallel Planters and guests were treated to a fall floral arrangement demonstration this past Thursday. Linda Schlicher, proprietor of Lutey's Florist Shop on Ayer street returned to gardening club once again to demonstrate the fundamentals of floral design. 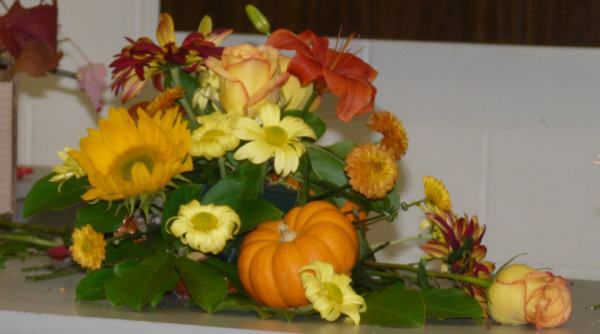 This time Linda demonstrated how to make two different fall arrangements. Linda used mostly items found in her yard or along the roadways. Only a few items for these arrangements needed to be purchased. Yes Linda is a pro and everything she touches turns out great, however, Linda is also a great instructor. The next time Linda does a demo somewhere try not to miss it, for great shall be your reward in floral arranging! 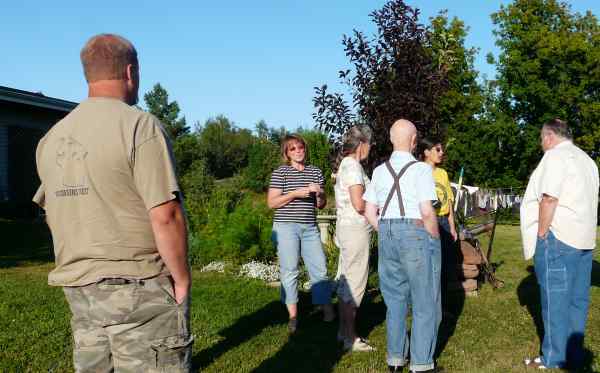 Leslie Kolesar Soltesz, introduces her "Organic Farm" to the members of the 46th Parallel Planters gardening group. The gardeners learned about alternative energy as this farm successfully uses wind power as it's energy source. 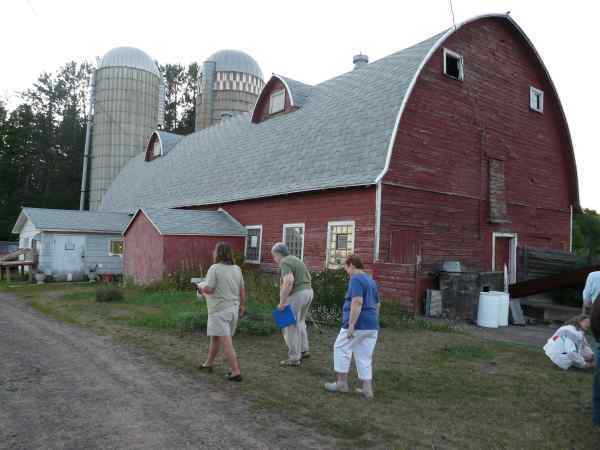 Afterwards, the gardening group continued on to tour Joe and Pat Cattelino's "Jopac" Farm on U.S. 2. RIPLEY -- A longtime Ripley business is closing its doors, at least until a buyer is found. After running the family business for 24 years, Pete and Jill Nissila announced they're closing Nissila Greenhouses in just a few weeks. Pete's parents, Gert and Karl Nissila, ran the business 25 years before that. The Master Gardeners say operating the greenhouses, originally built in 1895, was becoming more work and less fun. Their desire to move closer to family also factored into the decision. I"'m still still excited about plants," said Pete. "I still enjoy plants, but other facets of it I'll be looking toward now." The Nissilas plan to sell the seven acre greenhouse business, and move out of the area. That's sad news for the greenhouse's longtime customers. "I didn't know what to think," said Laurium customer, Phyllis Limanen. "I just always count on this place for a really nice gift or a plant for my yard. I hope someone busy it, who would be as knowledgeable." She might not be the only one disappointed. Nissila's is the largest greenhouse in the Keweenaw, and draws out of town buyers every year. "They always come back to Nissila's, because they've been coming since Pete's parents began a business in the 40's," said Jill. "So we have customers, it probably sounds funny, but come buy things and take them back to Minneapolis, Chicago, Milwaukee, and downstate." Pete and Jill plan to close their year round operation this fall. They don't have a buyer yet, but say they've been talking with a few people interested in the property. On July 31st the Range Master Gardeners hosted a potluck party at Norrie Park for the 46th Parallel Planters Gardening Club and the gardeners at the Community Garden. Joyce Price of MSU Extension was presented with a award for her dedication and facilitation of the Michigan Master Gardener Program. Joyce was also given an award from the Range Master Gardener Volunteers and the 46th Parallel Planters Gardening Club for her service to the clubs. 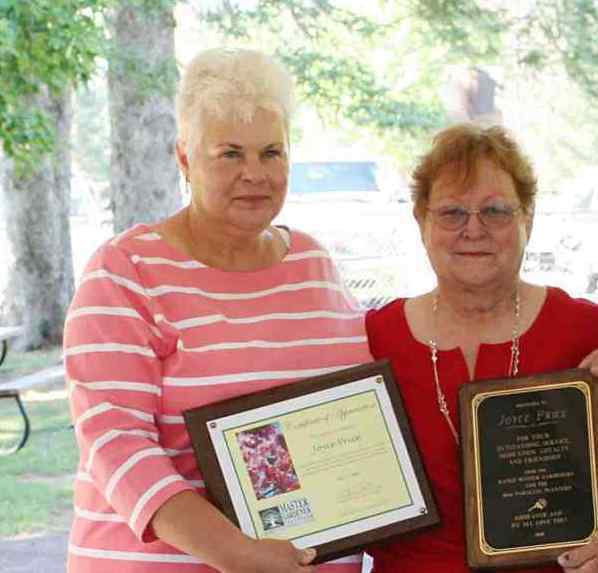 Without Joyce facilitating the Michigan Master Gardener Program many projects such as the Community Garden, the 46th Parallel Gardening Club, Pocket Park and other projects around the area would possibly never have happened. 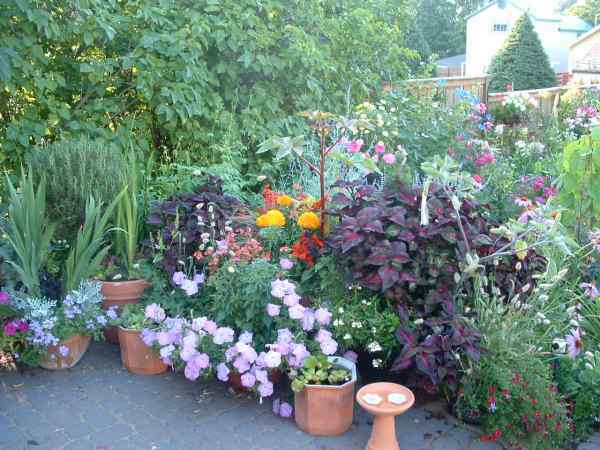 Thursday, July 17th the 46th Parallel gardening club is presenting another summer garden tour. 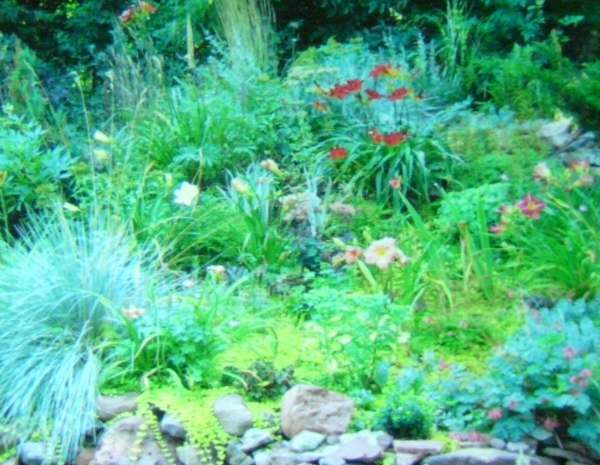 This year 4 Ironwood gardens and 1 Hurley garden will be shown on the tour. In addition, the tour will terminate at the award winning Downtown Pocket Park, where lightr refreshments will be offered. The tour will assemble at the parking lot adjacent to the Breakwater Restaurant at 5:45 PM. The tour information along with a map will be handed out at that time. The tour is organized by Pat Severenson, of Ironwood and Diane Fontecchio, of Hurley. 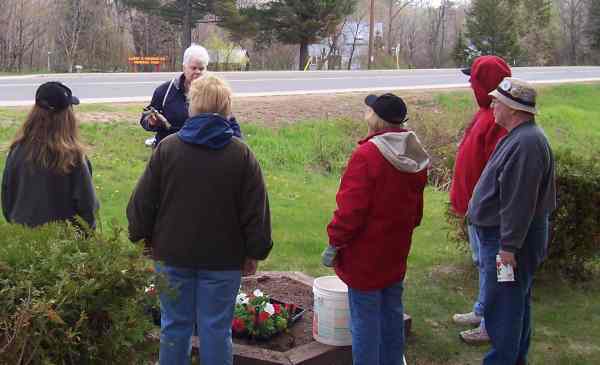 Thursday the 46th Parallel Planters garden club held their meeting at the Iron County Courthouse. More than thirty members and guests attended the meeting which featured a lecture from Madison Wisconsin via WisLine with a coordinated power point presentation on premises. The lecture was given by Dr. Robert Tomish from the University od Wisconsin. 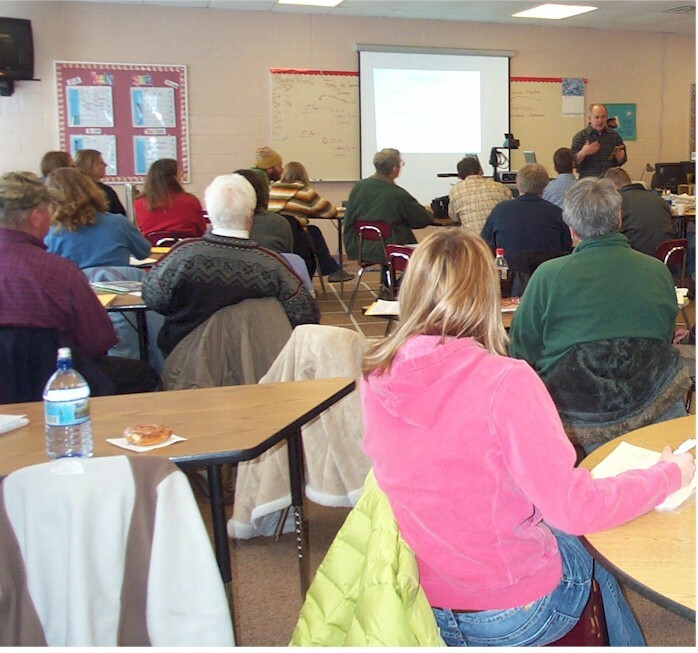 The class was on small fruit production in the Northland. The information included several small fruits including strawberries, Raspberries, Blueberries, Currents and several other varieties. At the meeting preceding the lecture Gordom Frese received a plaque honoring his 11 years of service as President of the club. Gordon was an original charter member and founder of the group. In other business the 46th Parallel Planters kicked off their latest "Bulb Sale"
Before you start diggin' in learn more about some products and ideas that will make your yard, and you, environmentally friendly. 46th Parallel Planters host "Rock Garden Demonstration"
An estimated thirty-five garden enthusiasts gathered at the May meeting of the 46th Parallel Planters. Guest speaker Barb Blow from Stoney Creek of Minocqua will be gave a demonstration on plants to use in a Rock Garden setting. Barb brought extra plants for purchase and door prizes. 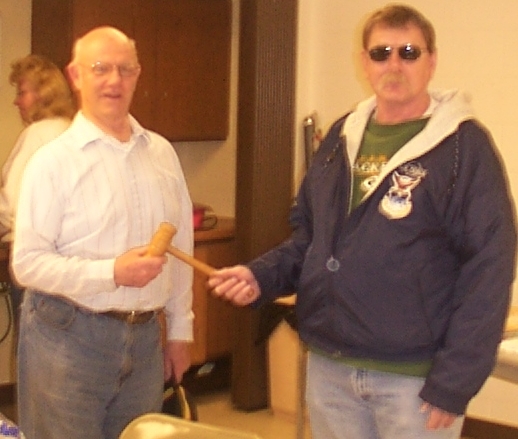 At the start of the evenings meeting Gordon Frese hands over the gavel to the clubs new president, Ron Zaleski, 2007 RMG "Gardener of the Year"
The participants received 36 hours of horticultural training with UW-Extension specialists and faculty. In order for the trainees to become certified and maintain their certification, the Master Gardener Volunteers must volunteer 24 hours in approved community gardening activities and receive ten hours of additional training every year. The purpose of the UW-Extension Master Gardener Program is to train volunteers to provide horticultural information specific to local climates, soils and plants to the gardening public, based on University research. Master Gardener Gordon Frese instructs the students at Norrie on gardening basics. Each year the Range Master Gardeners go into the local schools and work with the students on gardening projects. Student projects are carried out in Montreal, Hurley, Bessemer and Ironwood. Master Gardener Gordon Frase talks the 4th grade classes, at Washington Grade School in Bessemer, MI , about what plants need in order to grow. Each year the Range Master Gardeners visit local schools teaching elementary school students how to plant flowers. They learn what is required to successfully grow plants from seed and the aftercare that plants require. Teacher Gene Goss watches on as Range Master Gardeners instruct Bessemer fourth graders. Teaching Assistant Paula Barbacovi prepares labels for seed trays. Students will care for the seedlings until May when the plants will be transplanted outdoors. The Gogebic Conservation District is once again holding its annual tree sale , which is the District's largest fund raising events. The sale will take place on Saturday May 10th from 8:00 am to Noon and will again be located at the Gogebic County Fairground's Welcome Center. Master Gardeners will assist members of the district at the sale. Catalog and order form are included in this story. February 19, 2008, Hurley Wisconsin While most gardeners are sitting at their kitchen tables reading through the avalanche of seed catalogs received this winter, members of the Range Master Gardeners met at the Iron County Courthouse to plan for the busy season that lies ahead. Neither snow nor sub-freezing temperatures could keep this group of garden-faithful from their "Season Opener". Traditionally the 46th Parallel Planters hold a spring plant sale on Mother's Day weekend. 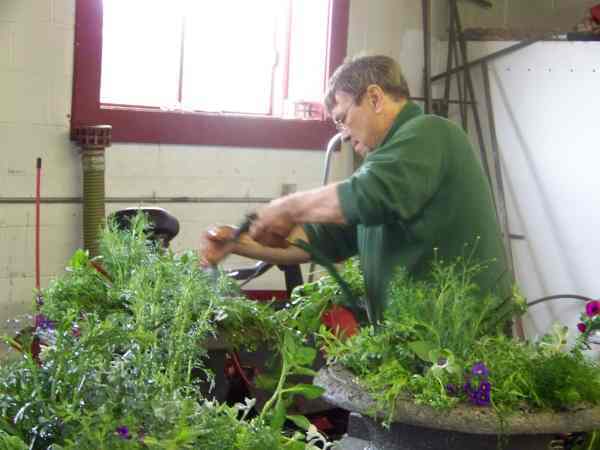 However, this year the planters are breaking with tradition in order to offer something new to Northland Gardeners. Later this summer they will be having a fall bulb sale featuring "Premium Quality Bulbs" not available at local retailers. Many great varieties are planned to be sold, however, the selections will not be officially announced until availability and pricing are confirmed by suppliers. The bulbs selected will of course be hardy and appropriate for our area. Prices are expected to be very competitive. As soon as prices and selections are confirmed order forms will be released to various locations throughout the community . The order forms will be mailed out to those gardeners and homeowners who request them. As in the past, purchasers will pick up their orders at the sale. This year the sale will take place on September 20th at the Iron County Farmers Market located in Hurley, WI on Hwy. 51. 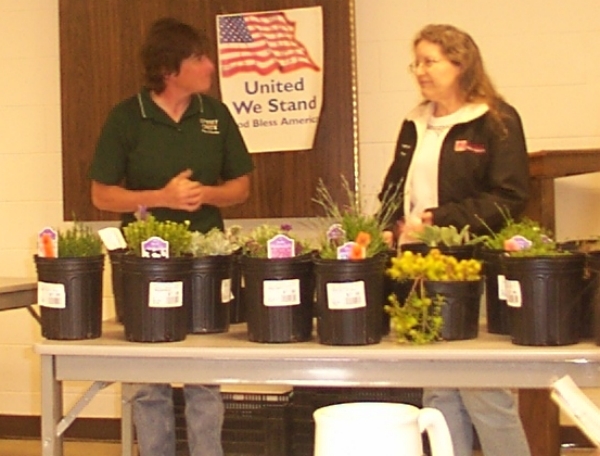 Area Master Gardeners are planning planting class co-inside with the sale. 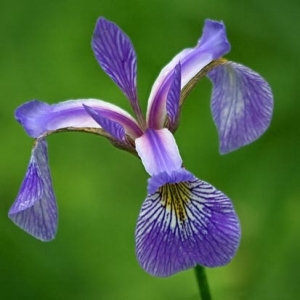 The following information has been provided by Master Gardener Lynn Adams "In past years, the gardening club has provided the public with many “Deer Resistant” perennial plants. 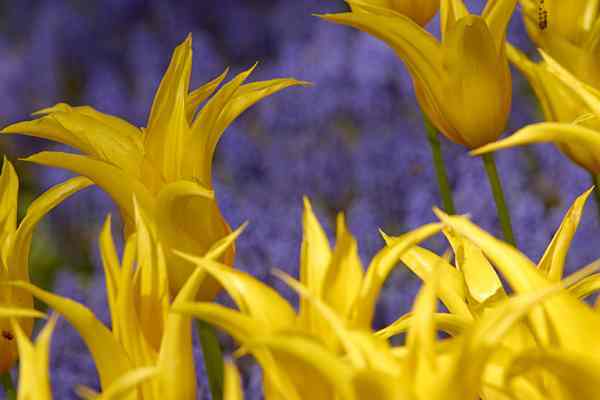 Now gardeners can extend their gardening season with these large top-quality spring and summer bulbs. 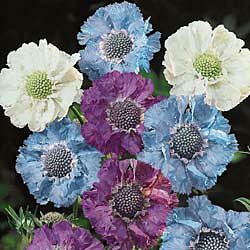 We have selected unique and uncommon varieties and new colors that are not found in retail stores. All these bulbs have been professionally inspected and machine x-rayed for viruses before being shipped to the United States. We hope you will like our selection." At last, a distinctive voice for the gardeners of North America. Elisabeth Sheldon, a superb plantsman, offers her extensive horticultural knowledge in A Proper Garden, a fresh, inspiring book of splendid prose. Her own gardens are proof of exquisite taste -- and successful cultivation of temperamental beauties. 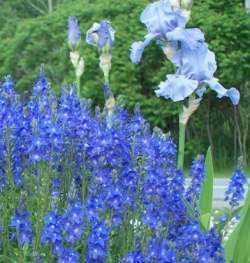 In the formidable climate of upstate New York, she has woven an enviable array of perennials into a living tapestry of shimmering colors and exciting textures. In A Proper Garden she shares her experience with all of us who face extremes of heat and cold yet yearn to grow the cottage gardens and formal mixed borders of our fellow gardeners in the mild British Isles. An important, immensely informative book, A Proper Garden explains how to achieve a balanced play of color throughout the seasons ... how to use silver foliage as a foil for brilliant blossoms ... how to handle the behavioral idiosyncrasies of otherwise desirable plants ... how to design a beautiful border that is distinctly yours ... how to succeed with the more tender specimens in the rudest of winters. Individual chapters focus on the choicest examples and best varieties of species both well known and under-appreciated: campanulas, dianthus, anemones, veronicas, yarrows, perennial salvias, hardy geraniums. A special chapter considers unusual plants for the rockery, whether you have a rock garden proper, a rock wall, or a raised bed. Generously illustrated with finely detailed drawings and appealing color photographs of Elisabeth Sheldon's own borders, this is an authoritative book, written with elegance, clarity, and wit.